This past week, Synergy Pharmaceuticals Inc. announced that its new medication for IBS-C, Trulance (plecanatide), received approval from the U.S. Food and Drug Administration (FDA). Trulance is already on the market for use in adults with CIC (chronic idiopathic constipation), but now will be formally approved for the treatment of adults with irritable bowel syndrome with constipation (IBS-C). The medication is administered via a 3-mg tablet that comes in a 30-day calendar blister pack with one pill taken each day. Both of Trulance’s indications have been approved within the past year, and it is currently the only medication that can be taken only once a day for individuals with IBS-C and CIC. Also, the medication can be taken at any time of the day, with or without food. 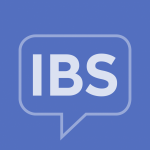 The approval of Trulance for both CIC and IBS-C comes after successful clinical trials were completed that included nearly 5,000 individuals. The Phase 3 IBS-C clinical trial program included over 2,000 individuals, and included two separate trials that took place over a 12-week period. The study was also randomized, double-blind, and placebo-controlled, meaning that some individuals involved received Trulance, and others received a placebo treatment in order to measure the efficacy and safety of Trulance specifically. After the 12-week treatment, the individuals involved underwent a 2-week follow-up period, to further investigate Trulance’s effect. In each of the studies, individuals receiving Trulance showed improvements in stool consistency, frequency, and straining with bowel movements when compared to individuals receiving placebo. Additionally, those receiving Trulance experienced significantly reduced abdominal pain when compared to their placebo-receiving peers during the 12-week treatment time. The most common side-effect of Trulance was diarrhea, with severe diarrhea being reported in 1% of individuals taking the medication. Diarrhea was also the most common adverse effect that lead to discontinuation of treatment, however, only 2.5% of all individuals taking Trulance did not complete treatment. If an individual taking Trulance experiences severe diarrhea, it is important that they alert their doctor or healthcare team. In some instances, it may be necessary to stop the medication and begin treatment for dehydration. Synergy Pharmaceuticals Announces FDA Approval of Trulance (plecanatide) for the Treatment of Irritable Bowel Syndrome with Constipation (IBS-C) in Adults. Synergy Pharmaceuticals, Inc. https://ir.synergypharma.com/press-releases/detail/1861/synergy-pharmaceuticals-announces-fda-approval-of. Published January 25, 2018. Accessed January 26, 2018.